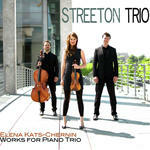 Slicked back tango : for piano trio / Elena Kats-Chernin. I was like wow : contemporary music for bassoon / Lorelei Dowling, bassoon. 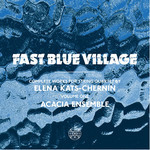 Fast blue village : complete works for string quartet, volume one / by Elena Kats-Chernin ; Acacia Ensemble. 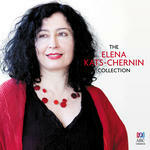 Slicked back tango : for string quartet / Elena Kats-Chernin. "This tango harks back to the time of silent movies. I was thinking of the 1920s and film star Rudolph Valentino. The title refers to his hairstyle". 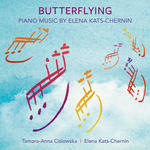 10 Sep 2017: at MSO (Quartet) Plays Kats-Chernin (Iwaki Auditorium). 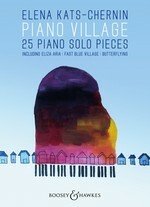 Featuring Rohan de Korte, Eleanor Mancini, Michelle Ruffolo, Elizabeth Woolnough. 24 May 2017: at Goldner Quartet (The Independent Theatre). 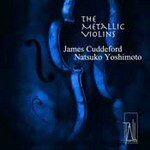 Featuring Goldner String Quartet. 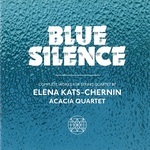 15 May 2016: at ACACIA QUARTET present Blue Silence - string miniatures by Elena Kats-Chernin (Sydney Opera House, Utzon Room). 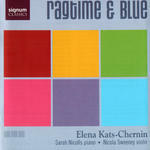 Featuring Acacia Quartet.